Been nodding off during work? Sneaking away to take naps while you’re supposed to be drawing up the reception seating chart? 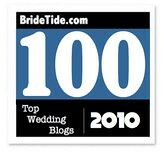 The wedding planning stress crunch can take its toll on even the most focused brides and grooms. And let’s face it, Red Bull or 5 Hour Energy are only causing you to crash harder. 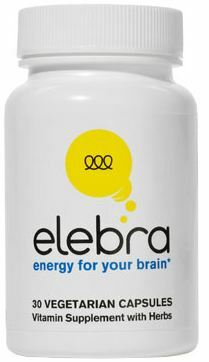 Lucky for you, there’s a new product on the market that dubs itself “energy for the brain.” Meet Elebra. Elebra is self-proclaimed productivity in a bottle. After many late, energy drink fueled nights, the product’s creators realized that while they may have the energy, they didn’t have the focus to put to good use. Their unique 21-ingredient formula helps support both energy levels and concentration. Read more about how Elebra works here. 1.) Like our Facebook page and leave a comment telling us you want to win the Elebra prize pack. 2.) 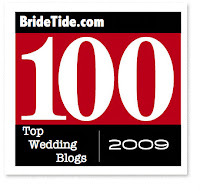 Leave a comment below telling us what the most stressful part of wedding planning has been so far. On Monday March 26, we’ll select one winner at random. Good luck to all! This entry was posted on Friday, March 23rd, 2012 at 12:42 pm	and is filed under #groombuzz. You can follow any responses to this entry through the RSS 2.0 feed. You can leave a response, or trackback from your own site. Cool! Short bridesmaids’ dresses are such a smart way to make the bride’s long gown even more striking. Smartly done. Finding the right dress and hairstyle!